While still quite sick this week and unable to sleep, I decided to at random look through the Steam Discovery Queue for a new game. It certainly delivered, with Zero G Arena. The game was originally released back in August of last year, with Linux support arriving in December. Really quite surprised I had not heard of it, since it looked good and ticked a lot of the right boxes. The developer mentioned how they had wanted to add Linux support for “well over 2 years now” but when they tried before the Early Access launch some Linux distributions had “serious issues” back then. Seems they’re mostly solved, as for me it runs extremely well. So what exactly is it? Well, it’s an arena shooter. A fast paced one too but it’s not your ordinary shooter. It’s third-person, it has zero-gravity (although you have magnetic boots you can turn on and off), it has some ridiculous ragdoll physics and grappling beams. You also get to customise your character, so you can make them as colourful as you like. Initially, I honestly thought the novelty of it would wear off pretty quickly. However, the mechanics of the gravity mixed in with your boots and grapple make it a constantly chaotic experience that just doesn’t stop being fun. You’ve no idea where people are going to come from! Around the corner? From above? Will they swing around you with a grapple? It will certainly test your aim. I will admit to chuckling a lot while editing that one. That’s just one of the incredibly varied maps it offers, all of them with different environment factors. 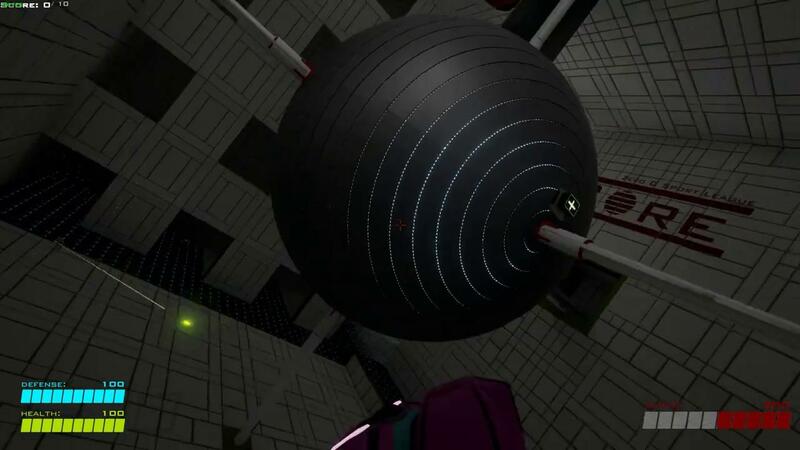 While that particular map had multiple orbs to run around on, another had an entire chamber with no gravity and nowhere to land on which was also incredibly chaotic. Sadly, there’s not a big online community going for it. An issue so many smaller (yet great) indie games suffer with. Normally, for such a shooter that would be a black mark. However, it has bots and some pretty darn good ones too. There’s different skill levels for the bots to pick and choose and they’re actually fun and challenging to play against so it didn’t actually bother me at all. Outside of bots, the online play does seem to work very well. Hosting a game and having others join you through the server browser seemed to work nicely, as did joining the dedicated servers currently online. I only encountered two issues in my playtime. The first, is that when in borderless fullscreen mode if I ALT+TAB and come back to it, the mouse is a little off in the menus. Additionally, when stopping a game as a host online, it spams some text on the left of the screen. Both minor and not a big deal. Is it worth your money though? That’s the most vital bit of information you want right? Well, it’s certainly fun! It had my absolute undivided attention, I was constantly laughing and sweating something fierce due to how intense it became. It’s different, it works ridiculously well on my system and it supports Linux—go for it. I can see myself playing plenty more in future. 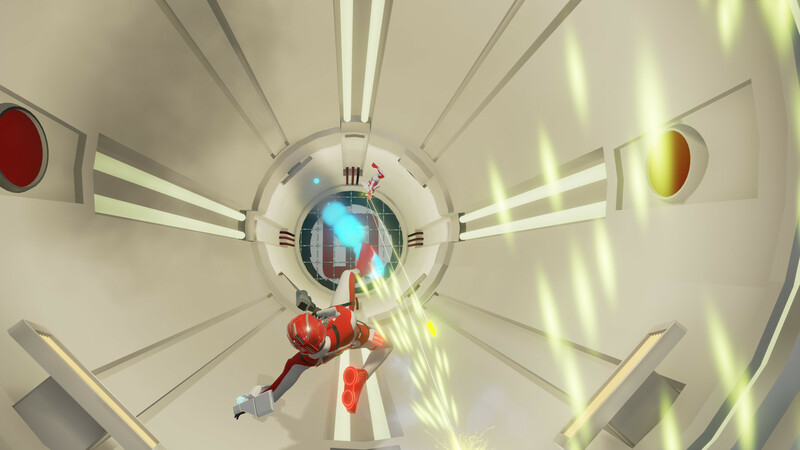 You can find Zero G Arena on Steam for £7.19/$9.99/€8.19. This looks cool and fairly inexpensive but then again so did Shotgun Farmers. Hope both games can get a good player base. I think I skimmed over this game yesterday and didn't think much of it, but now that I actually give it some attention it looks pretty neat. I think I'll grab it and check it out. Looks fun, but I just got the mean greens so I don't want to overwhelm myself with shooters.